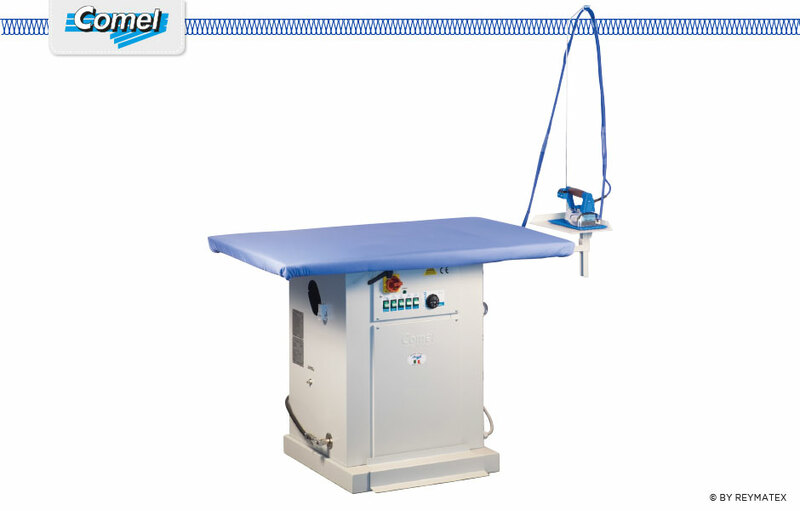 Rectangular table with boiler of 4 Kw (2 heating elements) with automatic water pump supply included, 1 industrial hand iron, suction board function and electric heating board. Sizes of board: 120×70 cm. Rectangular table with boiler of 6 Kw (3 heating elements) with automatic water pump supply included, 2 industrial hand irons, suction board function and electric heating board. Sizes of board: 120×70 cm.